The September holidays are coming, hooray! If you are thinking of going away for the week, here are some places that you can consider on your well-deserved break. If you’re thinking of taking a long break, consider Nyhavn, Copenhagen, a romantic and Instagram-worthy city. Copenhagen, the capital of Denmark is a city with many cosy restaurants, beautiful architectures and environmentally friendly amenities. After all, it was named the world’s greenest city back in 2014. On top of that, Copenhagen is also closely related to the dreamy fairy tales of Hans Christian Andersen as many of it were set in Copenhagen. Your pictures are sure to be Instagram worthy at every corner of this beautiful city. During your trip, you can have a cosy dinner at one of the restaurants or simply buy a beer and have a chat at the quayside. One of the must-do activity that allows tourists to enjoy and see the city is to go on a relaxing boat ride along the canals in Copenhagen. 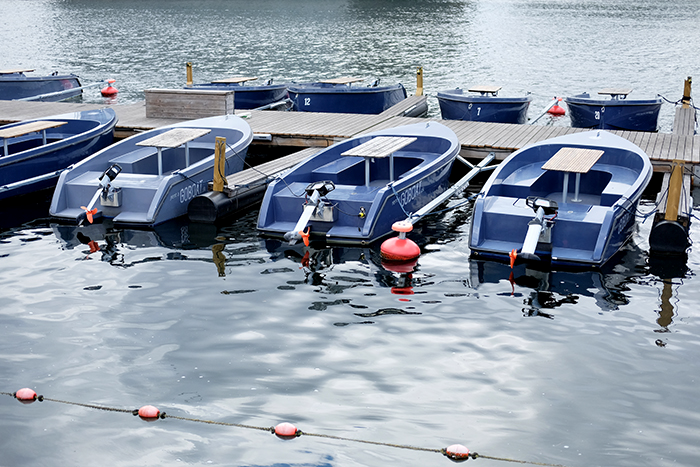 Staying true to its green roots, these Danish boats from GoBoat are made from sustainable materials and its batteries are also powered using solar power! You can even enjoy your meal or have a drink during your boat ride as there is a table in the middle of the boat. Travelling with kids? Fret not, taking a ride on the GoBoat is family friendly. Fulfill your dream of becoming the captain of your own ship (or boat, in this case) as GoBoat does not require any prior license or experience. 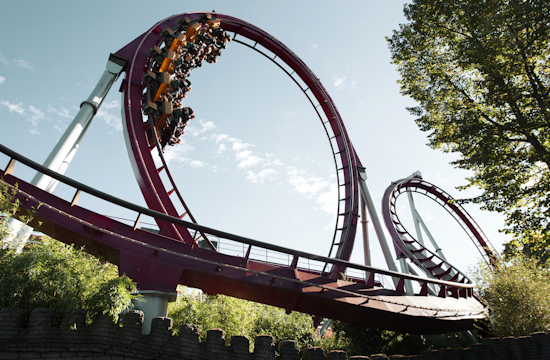 Another attraction in Copenhagen is Tivoli Gardens. This one’s for the thrill seekers out there. 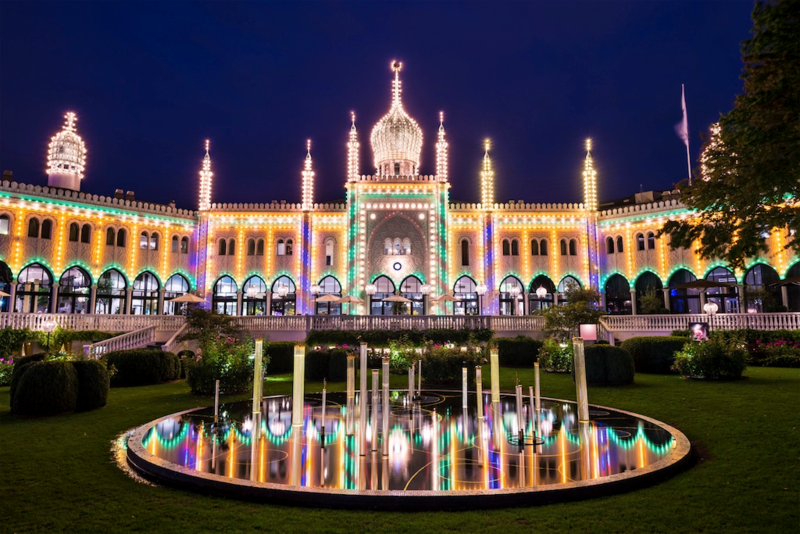 Tivoli Gardens is an amusement park with a long history since 1843. You can find fun rides for both adults and young kids there! If you’re an adrenaline junkie, rides such as The Demon , The Star Flyer , The Golden Tower & Vertigo will definitely be up your alley. There will always be something for someone here at Tivoli Gardens. 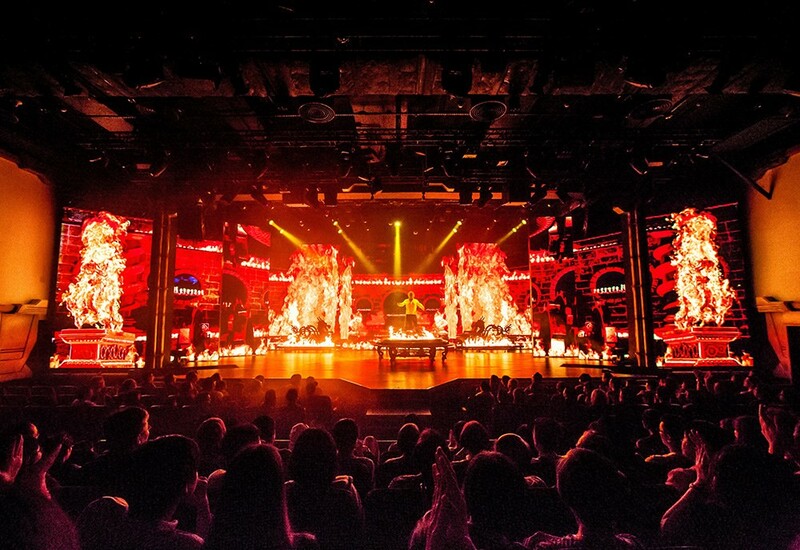 Catch the many concerts and stage shows if you’re looking for something less adventurous and enjoy rides that are not only nostalgic but also fast speed rides to get your heart pumping. Also, remember to stay until night falls as the place will be magically lit with thousands of lights, creating a perfect backdrop for the most beautiful photos. To really enjoy your time in Copenhagen, rent a bike and cycle through the beautiful city like a local! It is not only environmentally friendly but you also get to discover sights you’ll probably will not see if you take other modes of transport. With the bicycle friendly environment such as wide, spacious lanes, it will definitely be a pleasure discovering the scenic Copenhagen on bike. 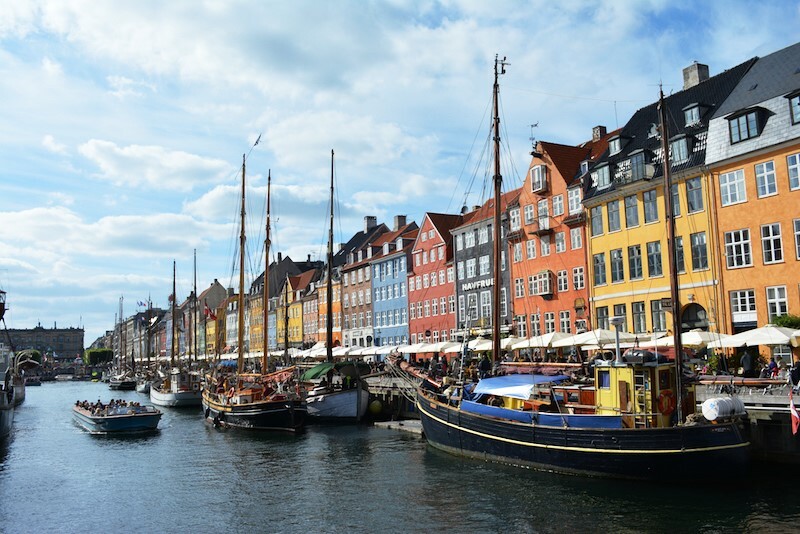 For more things to do in Copenhagen, visit Beatrice‘s blog for more! If you’re only looking for short getaway, why not visit Macao for their awesome food, rich historical sites and amazing performances! An iconic site would be the Ruins of St. Paul, a short visit there would make you be awed by its beauty. 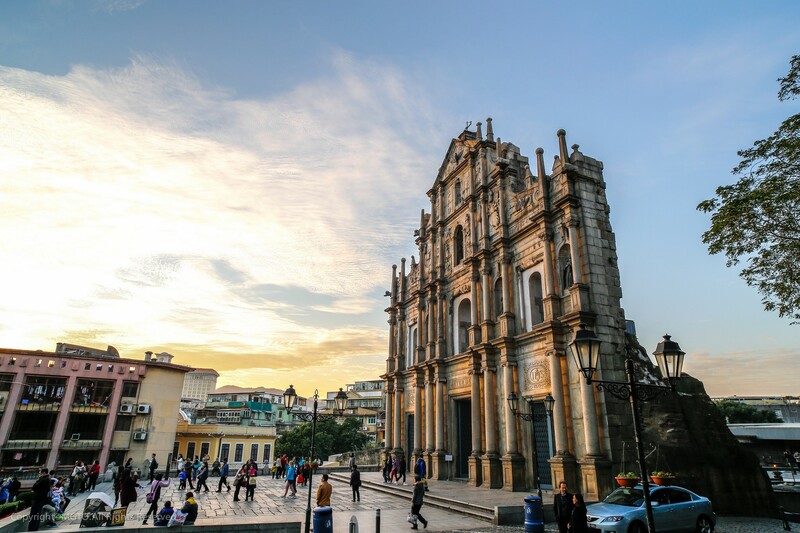 This Catholic Church has an interesting history and many tourists flock to Macao to visit the church each year. Fun Fact: The church was burned down in 1835, which explains that only the front structure remains. Be prepared to be patient in getting everyone out of your frame if you’re planning to snap pictures of yourself with the church! Not too sure what is the ONE food you can’t miss when you’re in Macao? 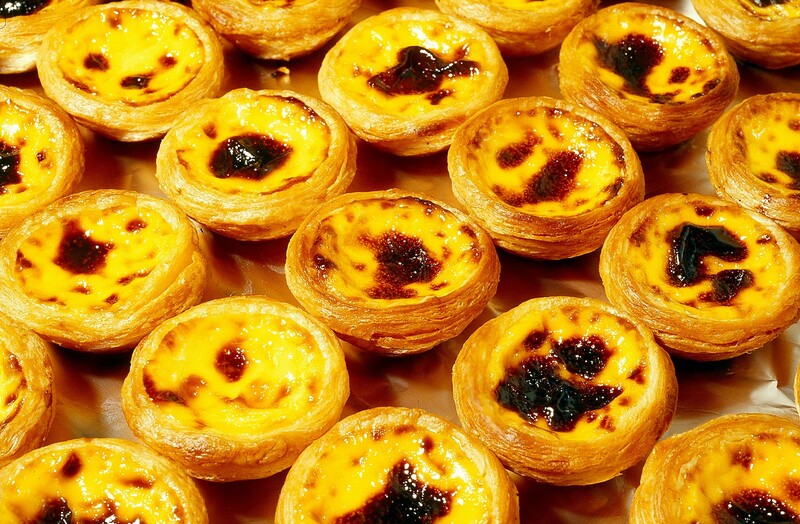 It is definitely feasting on these mouthwatering Portuguese Egg Tarts from Lord Stow’s Bakery & Café? Recently, they were awarded the “Best Macao Restaurant” in OpenRice Best Restaurant Awards 2016. Throw the sight-seeing aside, be prepared to get entertained by some of the world’s greatest magicians at The House of Magic. Young or old, who doesn’t love magic shows? It will leave you guessing and amazed at the mind boggling tricks performed. 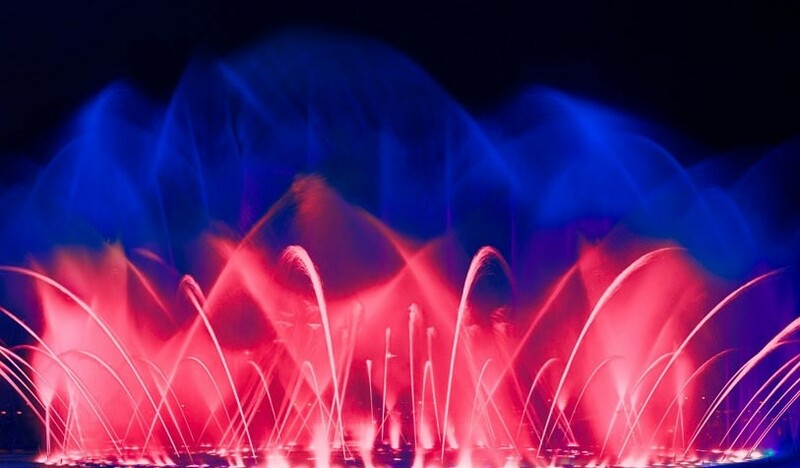 Feast your eyes with a lights and water show at Performance Lake! A fun fact about the Performance Lake is that it utilizes more than 300 water nozzles and shooters and 800,000 gallons of water for its installation. And the best thing? It’s free to watch! We’re sure kids and adults will be impressed. 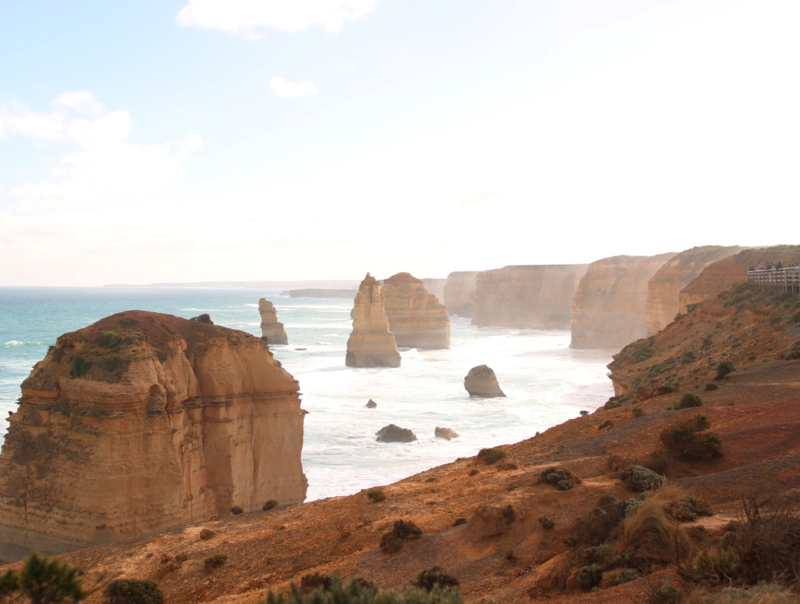 Pay a visit to the 12 Apostles and enjoy the breathtaking view of the limestones, blue sky and emerald waters. For even more picturesque photos, visit the place during sunrise or sunset as you will get lovely sunrays in your shots. 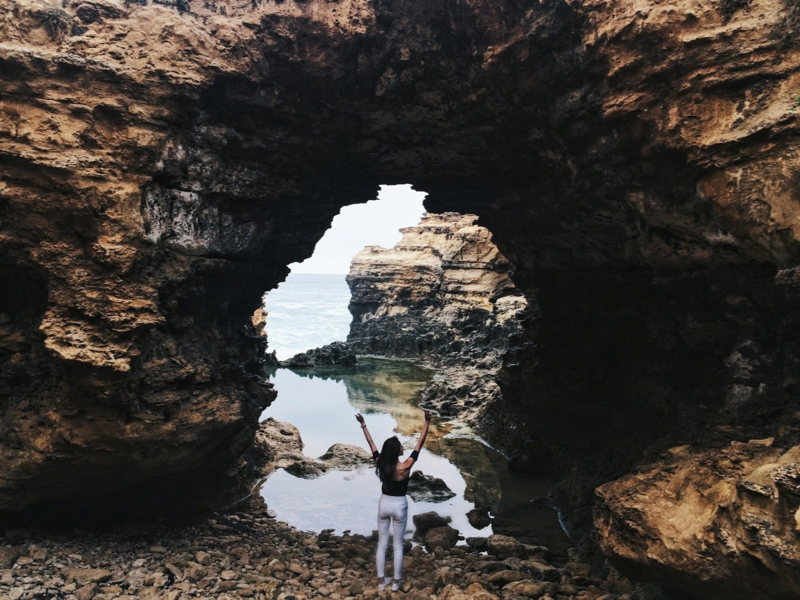 Another beautiful spot for your Instagram shots is The Grotto. The best timings to visit this place would be mornings or late evenings. Oh! And you’ll definitely need a wide angle or fish eyes lens for your camera to capture the beauty of the place. This is definitely for all those nature lovers out there. Mong Chin highly recommends this cup of coffee brewed lovingly by the people at Market Lane Coffee. 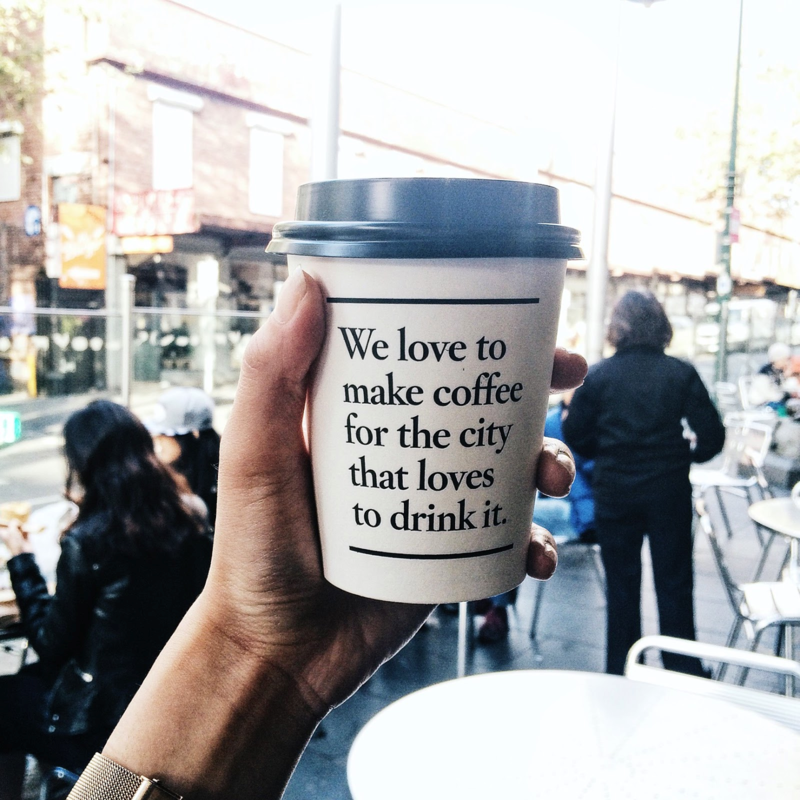 Try it out on your next Melbourne trip because you deserve a good cup of coffee on your getaway. Give your taste buds a treat this September. This place needs no introduction because you would have already seen pictures of these iconic colourful bathing boxes on your Instagram feed! 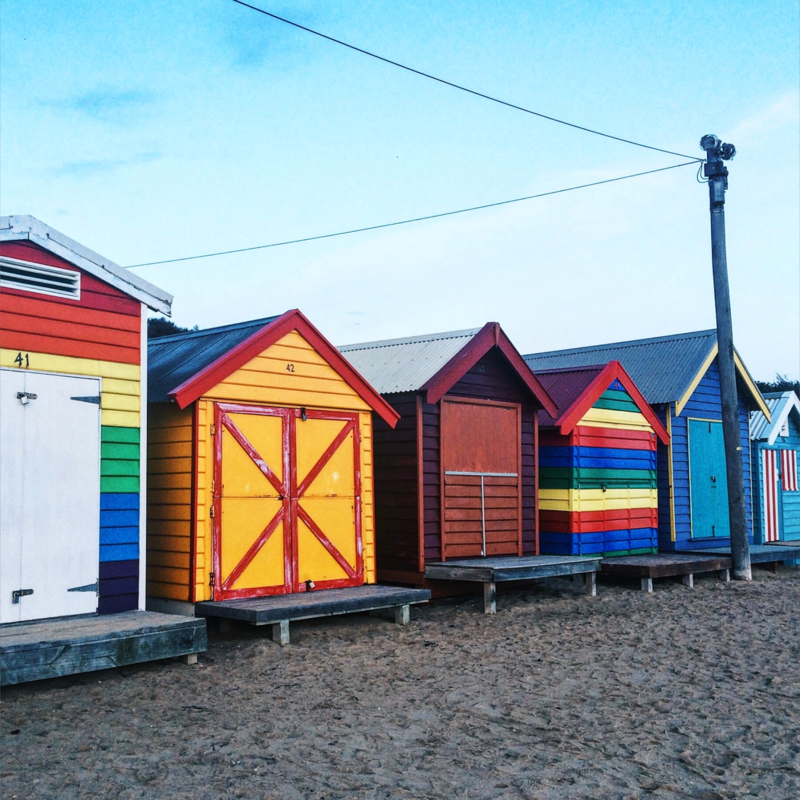 Located at Brighton Beach, it is one of the must-visits when you’re in Melbourne. If you’re just looking for a simple and near getaway with more laidback activities, you can visit Sinar Eco Resort in Johor, Malaysia that is just across our shores. 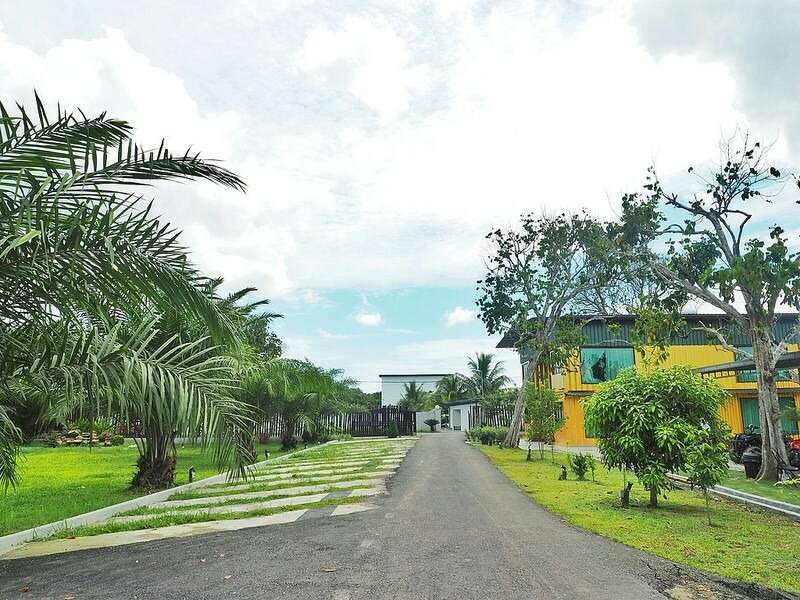 Located 30-40 minutes away from Singapore Tuas checkpoint, it is a perfect place for those in search of a tranquil holiday, away from the hustle and bustle city life. Take this time to relax and recharge at this resort. Don’t let the resort interior fool you! These may be container rooms but they are definitely not less equipped than your typical hotel rooms. The pleasing aesthetics of these container rooms makes it extra cozy, making us want to laze in bed all day. If you are not keen on lazing around but looking for activities to spend your time, Sinar Eco Resort also provides many for you to choose from. From ATV Buggy Ride to archery, choose from an array of fun filled activities with your loved ones. For a more laidback activity, you can go for pool, karaoke and swimming too! At Sinar Eco Resort, step a little closer to nature as you’ll find yourselves gushing over the cuteness of the farm animals! 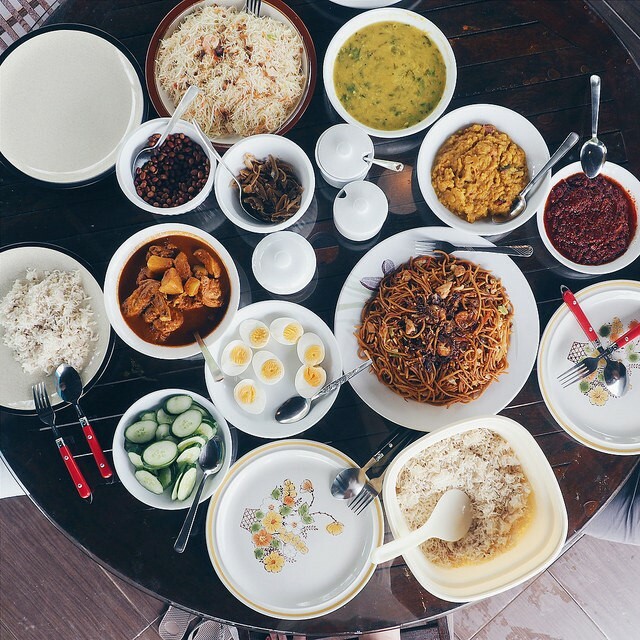 You can live the kampong life by feeding the goats, sheep, chicken ducks and so on.